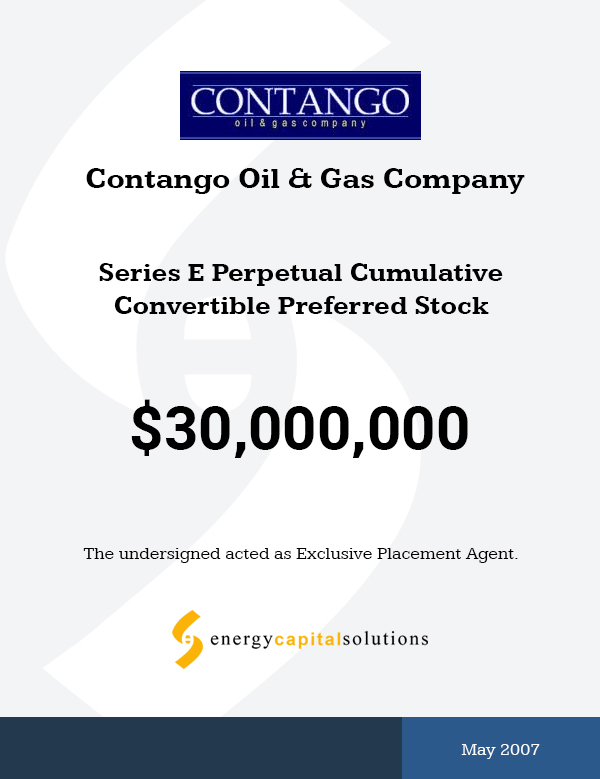 Contango received the new capital for each transaction approximately two weeks after ECS was engaged. Each transaction was substantially over-subscribed. Conversion Premium – The conversion price on the each Preferred class was approximately a 20% premium to the 20-day average closing price. Structure – Contango has right to require conversion of the Preferred based upon certain times and conditions. Dividend – 6.00% cash or 7.50% payment-in-kind.